Today we drive the rough unpaved road to Landmannalaugar, an oasis in the barren highlands, surrounded by colorful rhyolite mountains. Group members have the options to explore the area on their own or join the guide for a short hike through a rough lava field and up the slopes with an incredible spectrum of colours. The highlight is a 90-minute round-trip hike up toward Brenninsteinsalda, the rainbow mountain of Iceland, which is one of the most spectacular volcanic mountains in Landmannalaugar. The name in English translates to "sulphur wave". It comes from the yellow sulphur spots which have coloured its sides. But there are other colours too: green from copper, black and blue from lava and ashes, red from iron in the earth and white from silica. It could very well be the most colourful mountain of Iceland, and so its picture is often found in books and calendars. The mountain is still "hot" where you can see sizzling sulphur springs and vapor at its sides. For this hike, good boots and walking poles are helpful. In Landmannalaugar there is also a natural geothermal stream where you can enjoy a refreshing bath. Have swimwear and towel ready. On the way back to our accommodation, we stop at the beautiful waterfall Hjálparfoss in Þjórsárdalur valley surrounded by unusual basalt rock formations. Nearby we explore the Viking farm ruins at Stöng, which was completely buried in pumice during one of Mt. Hekla's bigger eruptions in 1104. A leisurely hike brings us to Gjáin, a green oasis in an otherwise rocky, barren moon-like landscape. Þjórsárdalur is off-the-beaten-path and is dominated by Mt. Hekla and other volcanoes in the vicinity. Hekla is one of Iceland's most active volcanoes; over 20 eruptions have occurred since settlement in 874. During the Middle Ages, Europeans called the volcano the "Gateway to Hell". Please note that in case Landmannalaugar is not accessible during May and June departures, we travel only to Þjórsárdalur valley on that day. Today, we visit three of Iceland's most famous spots: Þingvellir National Park, Geyser hot springs, and Gullfoss waterfall. We start the day at the ancient Viking Parliament area of Þingvellir National Park, a UNESCO world heritage site. The Þingvellir plain is situated on a tectonic-plate boundary where North America and Europe are slowly tearing away from each other. As a result, the plain is scarred by dramatic fissures, ponds, and rivers, including the great rift Almannagjá. Next stop is at the Geysir geothermal fields with a variety of hot springs and bubbling pools where you see the steam pumping from the ground as if beneath it there were lots of little smoking devils. The original geyser is now dormant and has been replaced by Strokkur, "the Churn", which erupts at 5-10 minute intervals.Gullfoss, "the golden falls", is a double waterfall that tumbles 34 meters into the Hvítá river originating from the glacier Langjökull. After the three "must-see" sights on the Golden Circle, we add a little extra. There is a small waterfall called Faxi, "the Main". Nearby, we show you a traditional sheep pen, where Icelandic farmers sort the sheep in September after the sheep had been rounded up in the mountains. We continue to Skálholt, which is one of Iceland's most historic and holy places. It was the center of ecclesiastic power in Iceland for more than 700 years. The first bishopric was founded here in 1056, with the first bishop, Ísleifur, taking the seat. 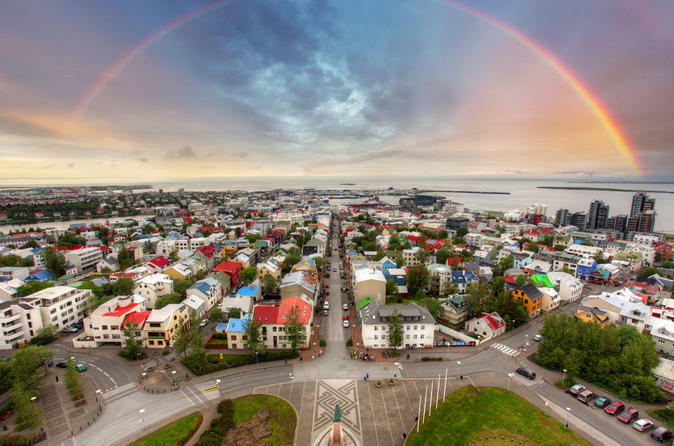 From then on, it became the center of learning, culture and worldly power in Iceland. The church in Skálholt has the most beautiful altarpiece made with mosaic and colourfully stained windows, both designed by a famous Icelandic female artist. 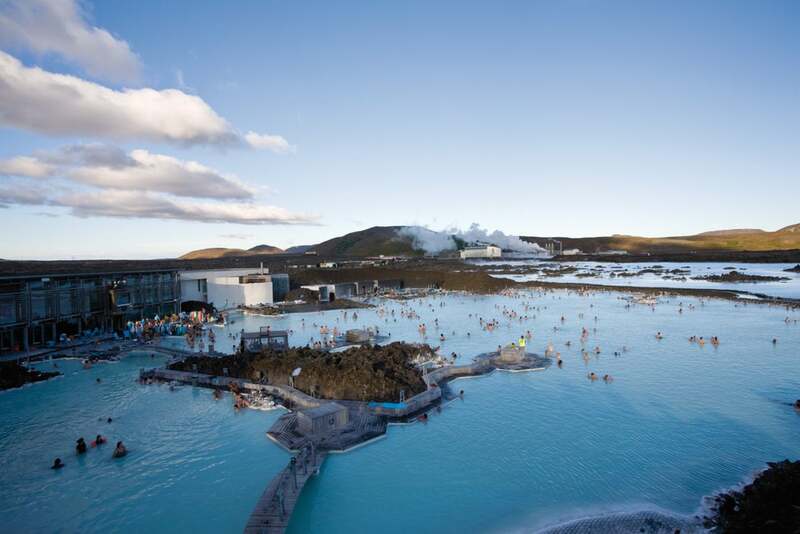 You might like to visit the local geothermal swimming pool with hot tubs to top off your sightseeing day the Icelandic way. Þórsmörk is one of the most popular hiking areas in Iceland. Depending on the weather, we enjoy a leisurely hike through nature. 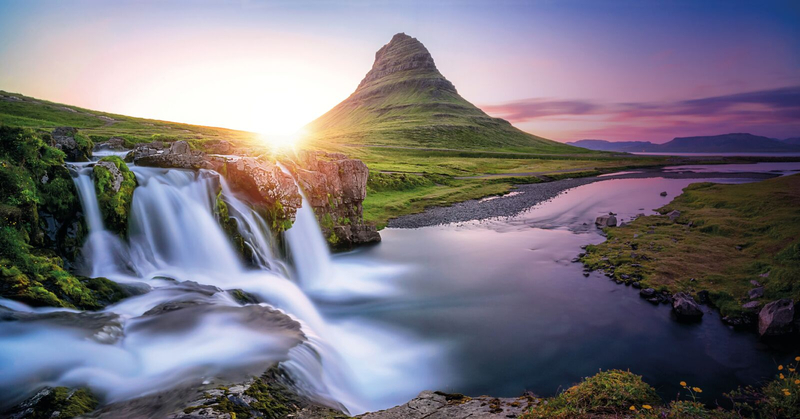 You see the rumoured Icelandic Highlands at its best - volcanoes, glaciers, high mountains, and glacier-made valleys and canyons, glacier rivers, lava fields and much more gems that the Icelandic nature holds captured. After our Þórsmörk adventure trip, there is a long drive to our next overnight location at Vatnajökull National Park. We will stay for two nights at the simple but well located Hotel Skaftafell, next to Europe‘s largest glacier and beneath Iceland‘s highest mountain. The day today is packed with fun activities and breathtaking sceneries. We start with an easy 1,5 to 2-hour glacier hike in the majestic surroundings of Svínafellsjökull, suitable for beginners. The glacier is hemmed in by some of Iceland´s most spectacular peaks. An experienced glacier guide leads you safely through the icy wonderland of strangely shaped ridges, deep crevasses, enormous water cauldrons and different ice formations. In the afternoon we head over to the famous Jökulsárlón glacier lagoon for a cruise, sailing between the icebergs of all shapes and sizes, which float in the clear blue water. After the glacial lake experience, there is time to go down to the black sand beach in case we find icebergs that have floated all the way from the glacier lagoon into the Atlantic Ocean. We cross the sandy desert of the south shore, overlooked by rugged cliffs, glaciers, and waterfalls. We stroll along the black lava beach and bird cliffs at Reynisfjara. We see interesting basalt columns, and rock formations called the petrified trolls. About 10 km west of Vík is the rocky plateau at Dyrhólaey, which rises dramatically from the surrounding plain. We walk to the lighthouse, observe birds on the cliffs, and enjoy the spectacular views of the black beaches, the sea and surrounding mountains and glaciers. Our next stop is the thundering Skógafoss waterfall, which tumbles 62 meters over a rocky scarp, kicking up vast sheets of mist. The Best of South Iceland program ends with a short Reykjavík city tour before we reach the hotel in Iceland's capital. Iceland Tour, Trip to Iceland, Vacations in Iceland, Holidays in Iceland, best tour operator for Iceland, India to Iceland tour, best deals on Iceland tour, Corporate tour for Iceland, MICE in Iceland, Northern Lights Tour, Honeymoon in Iceland, Delhi to Iceland tour, India to Iceland tour.